When you're on a journey to create the life of your dreams there's a lot of work involved. There's a lot of new starts, and questions, and often times there are mistakes. This space will feature a few guest posts as I wont' be writing here during July but in the quiet and secret places for my God and myself. We're praying about hosting an exchange student for two weeks in July. I will of course tell you all about that if it ends up being part of my month. I'm going to try some new art techniques and make things just for me. I'll be on social media but even less than I am now. I'll catch up on some other projects that have been begging for my time. I hope to share tons of meals with friends, enjoy lots of ice cream cones, and drink every flavor of lemonade I can dream up. As always I'll reply to every comment here but perhaps not until August. Thank you for your grace. If any part of my month-long break appeals to you perhaps you'll benefit from joining the Sabbath Society too. If you do let me know in the comments below. I love being able to share our journey together. 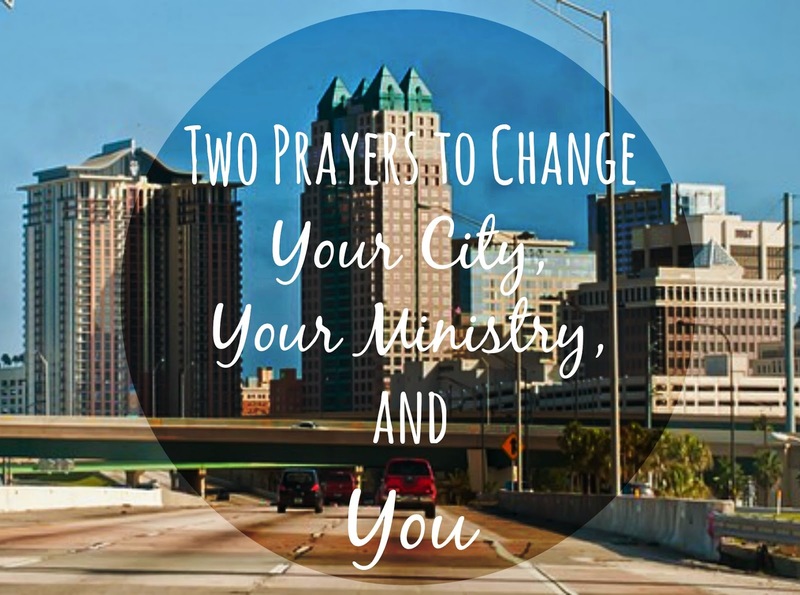 When I was preparing to move to Orlando to do ministry Downtown, I felt an array of emotions. I was certainly excited to move from Small Town, USA to the city but I was also scared. I wouldn't know how to get from my home to the grocery store. I felt unprepared for the ministry we were called to (I was), and I felt unequipped to reach the people we would be ministering to (I wasn't). Before moving to Downtown Orlando we came to the city often. We observed the ministry of others and tried to gauge the culture. I came to learn that many of the people we would be doing ministry among were very different from myself. People ranging from the homeless, to the young partier, to the wealthy business man or elite of society, crowded the Downtown streets. At the time I believed I had nothing in common with any of these people and that belief only increased my fear of failure. I hold onto things very tightly. Often saying "God, you can't have this." And so when He tells me to let go? Take time off? I flat out ignore him. But the pulling and tension and strain in my heart is too great. And last night at some crazy hour I conceded. I gave back to Him the things that were already His. I conceded. So in the month of July I will release things I've hovered over like a mother hen. I will entrust them to Him. I will make art for myself and my God and no one else. 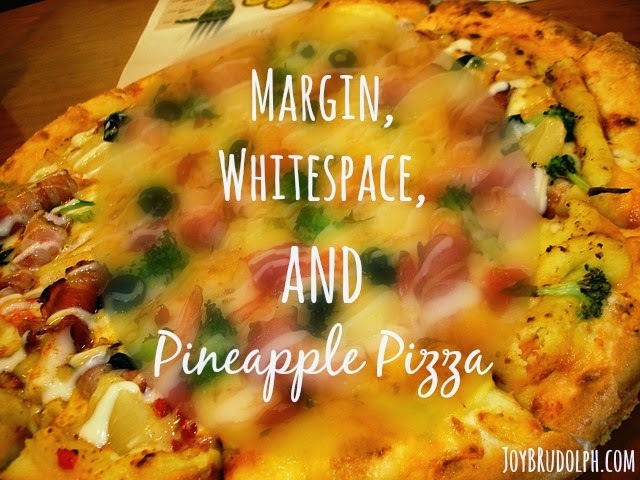 I will increase my margin and white space. And most of all I will live in the tension of giving up to be obedient. Thirty days feels like a long time to give up things I love dearly. Things I have clung to. But it also feels peaceful. Freeing. This morning I wrote an email saying I couldn't honor a commitment. That it would have to wait until I August. I find my identity in being a person of my word. In never dropping the ball. In always being reliable, steady, efficient. I had to give up a bit of that part of me. To release the parts of my plan for His greater plan.To find my identity in Him alone. 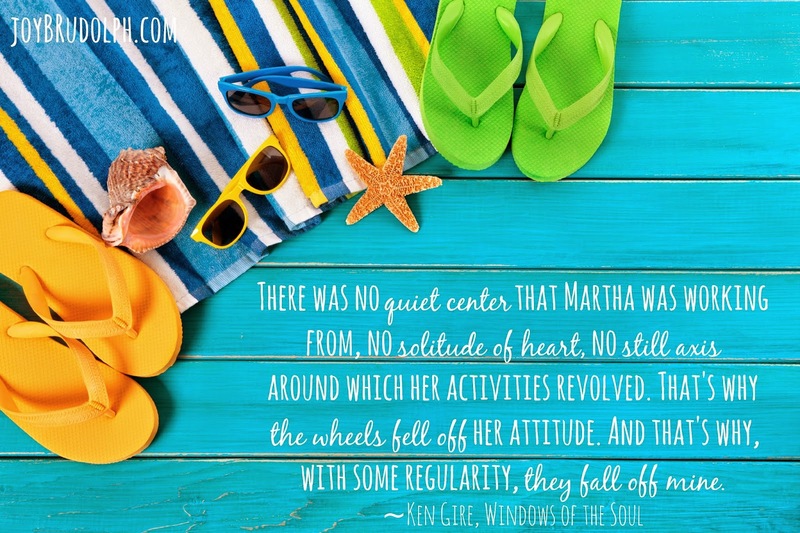 Linking up with at Five Minute Friday: a community of writers that encourage one another! Join us here. 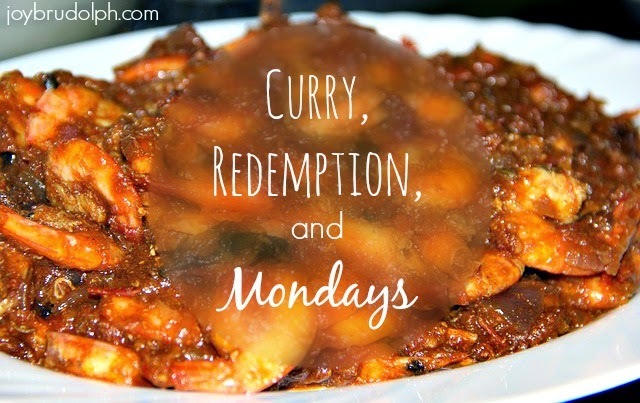 I learned about the Examen from a Jesuit priest while I settled in for a long chopping session toward mango chicken curry. A once alcoholic priest at that. I was among good company. I listened and learned. I was compelled by his easy communication style and by the bravery of a small worshiping community outside of Chicago. In a world where certain sects of Christianity never intermingle this tribe cared more about being better than being right. And I connect with them. Having not grown up with liturgy or high-church of any sort I am so drawn to historical church traditions. Ways that help me not just be more connected to God but also to the saints who have gone before me throughout history. And so I chopped and listened. And that got me through one of those soul-stirring dinners. Four ladies total. Asking good questions of one another and being brave enough to answer them. But no moment is forever and I woke up to a Monday seeking to steal my soul. Or my joy at least. So eventually I went to the stove. I put the water on for rice for the leftover curry lunch. I cut into a day-old loaf of bread for toast. And then I waited. I did my own bit of the Examen over boiling water and the smell of bread crisping up. There is something solid about a pot of rice being cooked. Something grounding about bread you made with your own hands. And so I stood at the stove and resolved to start over. That Monday couldn't beat me. That is would be redeemed with warm toast in one hand and a chopping knife in the other. It is not a resolution. It is the beginning. Coming soon I'll give some tips for restarting bad days, rough years, and imperfect lives. Join me back here then. It came to me like a whisper. The water seeping up through my floor. It would lead to three days of moderation. Of "ok, you've got fifteen minutes max to shower, flush toilets, fill water pitchers, brush teeth, and whatever else requires water." I could have seen it as just an incovenicence. It still is. With the bathroom mirror in my living room, a hole in the floor and wall, a vanity removed and no working sink. But that water swept into my life with a wave of grattitude. After years of seeing commercials and short films of mamas walking for miles to a well, or babies dying for want of water, I needed to be inconvenienced myself to understand. To appreciate how nearly every hour I refill my bottle with cold, clean water. 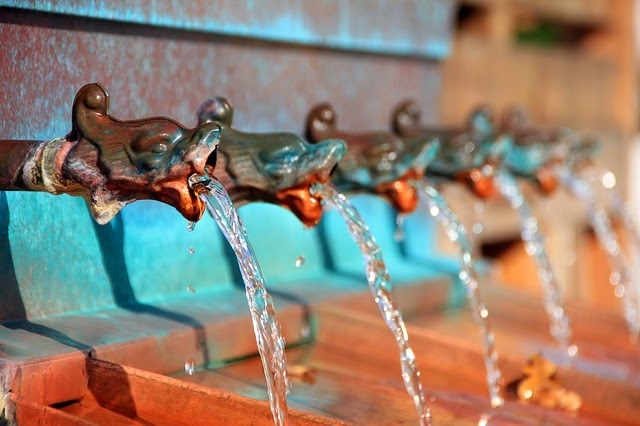 How I can wash and clean and water at my will. I have so much to be grateful for. And like most Americans who should live in a sense of constant grattitude and celebratoion, I am ungrateful. Until a messenger came to snap me out of my bubble via a leak in my bathroom floor. I'm a part of a community of writers that encourages one another. You can join us here. I pull into her driveway in the rain. It's been raining for just a few minutes but this is Florida so it already feels like a monsoon. I join her on the steps. She is smoking a cigarette. Often she says she doesn't need help but I'm there for mere moments before she starts crying. The yard sale that is supposed to help fund her new life, her escape, has been rained out. And not just that but the rain did a number on her meager possessions. And the girl who always has to be strong finally breaks under the pressure. It is time. A recovering alcoholic who makes her art in barber shops. A woman fighting to the top in a field dominated by men. She always has to be strong. But these past few months have been a new kind of hard and she is moving on. That Sunday afternoon what I thought would be a thirty-minutes jaunt at most became a four-hour afternoon of memories that I'll carry with me through this life. It wasn't long until I decided to order lunch and she wanted pineapple pizza. I added ham. Had I not stopped that day and lingered, I would never have known that pineapple pizza was her comfort food. I would never have known that when she was a teenager if her mom came home and found remnants of Domino's pineapple pizza it was a signal that her daughter was in a rough spot. In those four hours we talked, and wiped rain drops from furniture and plates. We gave change to those who would brave the weather for a yard sale and we dreamed about the future. About how she looks forward to taking a break from cutting hair to make art as a homemaker. He takes my hand in his and give me a quick peck on the cheek. I am used to this. 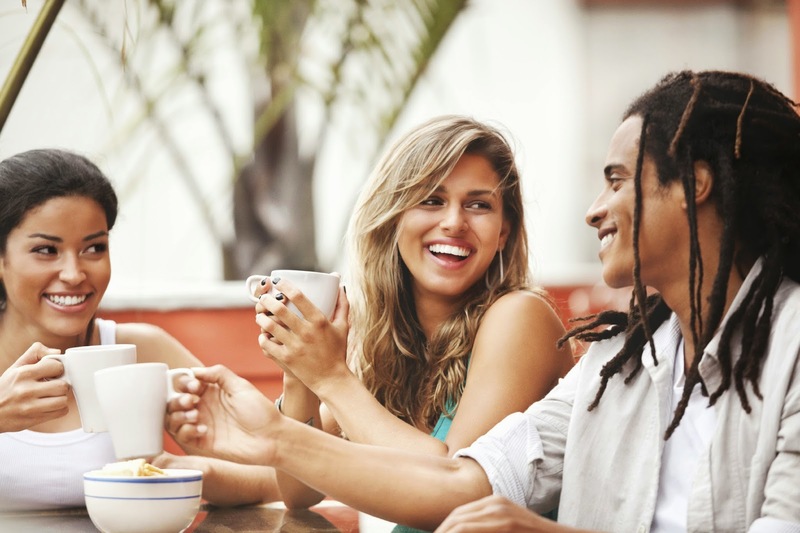 Being surrounded by Latinos regularly for the past five years has allowed me to adapt to their culture. To love it even. Perhaps that is why he does it. Perhaps he has adopted a culture different from his own. My skin looks like alabaster against the chocolate of his but it is true that if we both bled it would be red. But his blood? It would flow with an incurable virus. It is this sickness flowing through his veins that makes him wear layers of sweaters in the Florida heat. Always cold this "sick boy." You can see on his skin that he is not well and his eyes confirm the story. But on Memorial Day a group of us sat around a table spread with home cooked fare. Caucasians, Latinos, Asians, African Americans. And the table made us equal. Food is a great equalizer. If you are sick you can come to the table and feel like one made well. If you are an outcast you come to the table and feel welcomed. And as hands brush in the passing of platters and bowls you remember that we are all human and everyone needs a life with the table at it's center. "On Fridays we write. And sometimes it goes all over the place and we let it. We get messy and real and sometimes we cry and sometimes we laugh but we get it done week after week. We show up and write free. On Fridays we write. And sometimes it goes all over the place and we let it. We get messy and real and sometimes we cry and sometimes we laugh but we get it done week after week. We show up and write free. Five minutes on one prompt. We silence the critic and the audience, we make peace with our mistakes and our word tense that goes in and out when we type fast. We don’t overthink or edit or make a fuss. We just believe words spilled are worth something even if they come out like madness. Join us? Sometimes I feel a little weary of all it takes to run my site in this little corner of the internet. On top of that I partner with a new church planter each month to give you an opportunity to hear their story and support their ministry. And these things are on top of everything else I do. I'm sure you can relate. 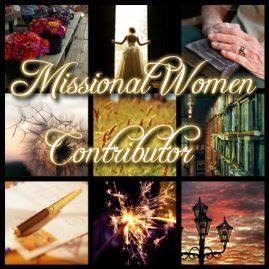 But each month when I receive a new lady's ministry story it makes it all worth it. I love hearing how God is using ordinary people to touch and change lives. 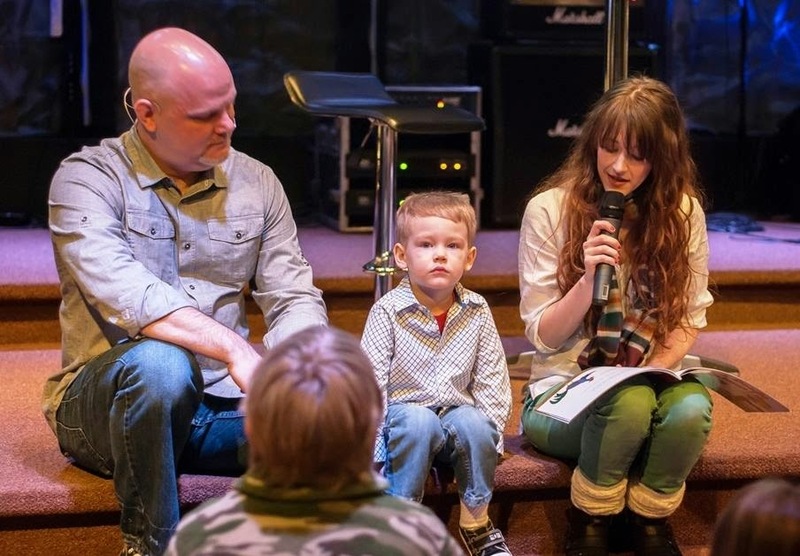 This month I'm thrilled to partner with Amy Reasoner and her church plant in Ozark, MO. 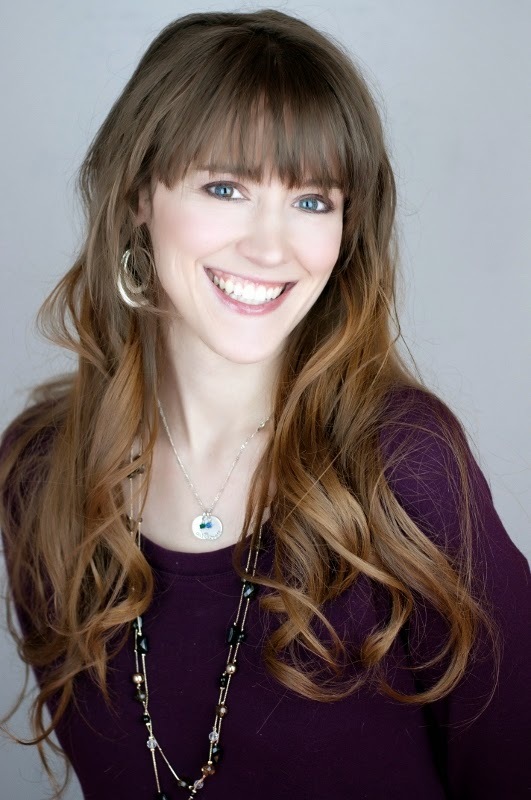 Amy, tell us about you, your ministry, and your writing. My husband Jason and I are the pastors of Life360 Church’s Ozark campus in Ozark, Missouri. Being a pastor’s wife was not really in my plan for my life, but I knew from a pretty young age that ministry would figure into my adult life somehow. The summer between my sophomore and junior year of college, they hired a new youth pastor at my home church. Over the summer, I watched him with our students. I listened to him preach. I saw his heart for God and for other people. We fell in love in a matter of months, and before I knew it, I was a pastor’s wife. We served as youth pastors together for 4 years after our wedding, before resigning our position to become church planters. We have two little boys, Caleb, who just turned four, and Garrett, who is two and a half. I am blessed to be able to stay at home with them most of the time, but I also work two mornings a week at our county library. I’ve always been a huge bookworm, and someone who loved words, so working at the library and writing are both a natural outflow of that passion. I view my writing mostly as another arm of my ministry within the church. I have the people sitting in our congregation in mind with most of what I write, but I love that the internet gives me the opportunity to reach a much broader audience. I try to be as transparent as possible, so I write about a little bit of everything. My faith figures pretty heavily into what I write, but I also write about my kids’ silly antics and my hobbies, including what I’m reading. Jason and Amy at the Christmas service. What’s your church planting story? As I already mentioned, Jason and I were long-time youth pastors at my home church in Springfield, Missouri. I think I could have been happy there forever. We loved working with teenagers, and I was comfortable. 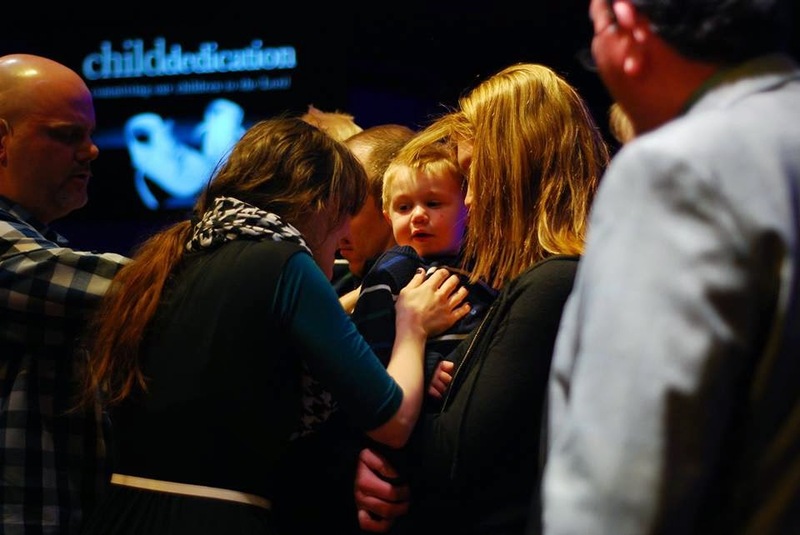 But in 2010, God began stirring our hearts and preparing us for something new. At the time, we were overseeing our church’s discipleship program for college-age students. We started asking what it really meant to make someone into a disciple of Jesus and whether or not church the way we saw it was accomplishing that. 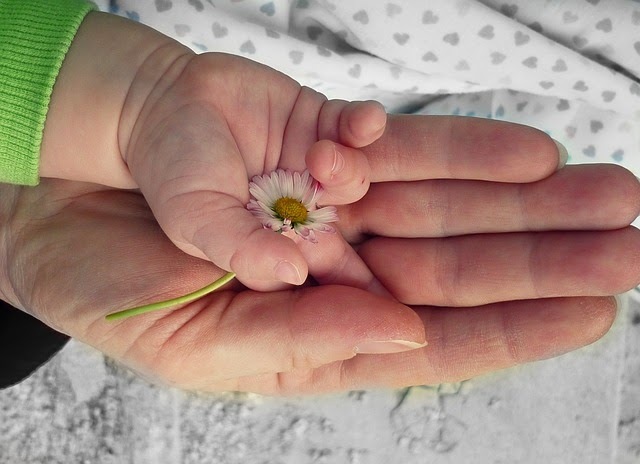 We had also just brought home a brand-new baby, and were processing the enormous responsibility of what it meant to raise him to serve God, and how our faith community was going to be an obvious part of that. We knew we weren’t the first pastors or parents to wrestle with these questions, but the more we prayed and studied the Scriptures and searched our own hearts, the more we came to the conclusion that the church we wanted to be in, the church we wanted to raise our children in, didn’t exist yet. And we knew that God was asking us to start one. We were blessed to be a part of a multi-site church that had a heart for our region and for church-planting. When we approached our lead pastor with the things God was placing in our heart, he was nothing but supportive. 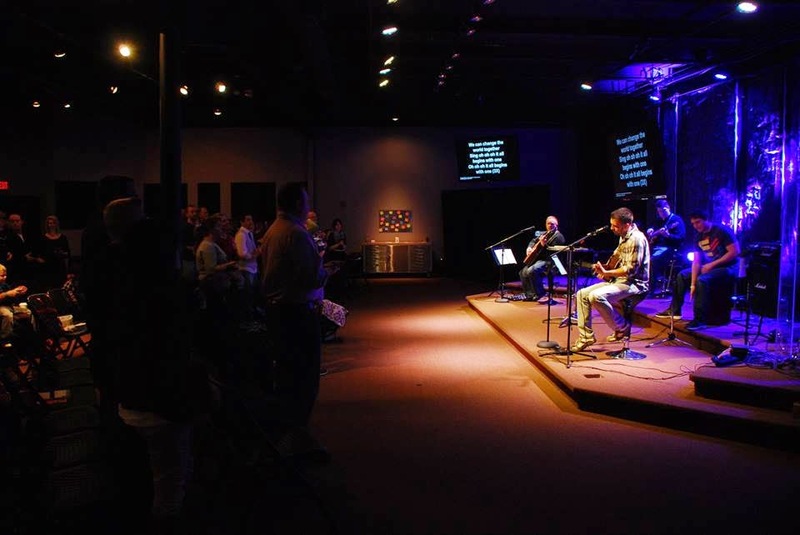 And in June 2012, we had the privilege of being commissioned by our home church to launch a new congregation in Ozark, a suburb to the southeast of Springfield. 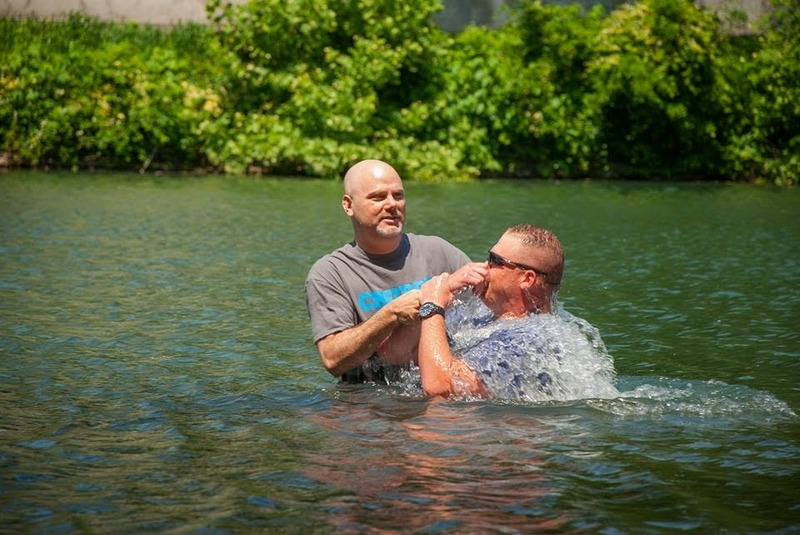 This is what a baptism looks like in a church plant. Tell us about Life360 Church, Ozark, and the people you minister to. 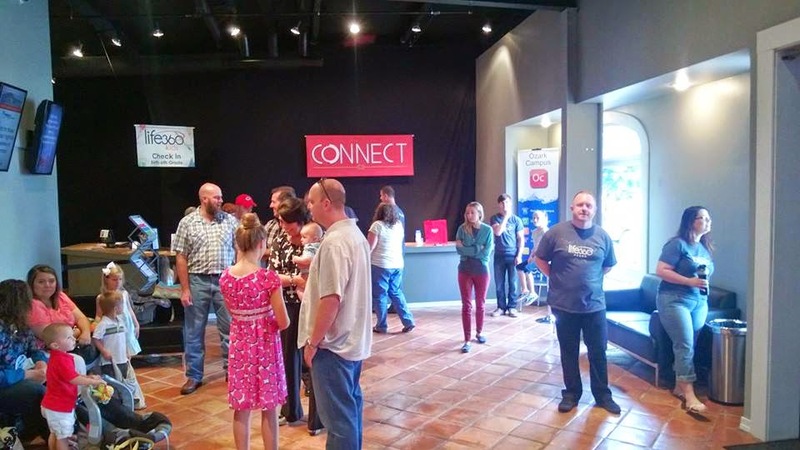 Life360 Ozark is part of a multi-site Assemblies of God church. The sites are not identical to each other in style, size, or personality – they aren’t cookie-cutter churches or a franchise model. Rather, we think of ourselves and our other campuses as a large, extended family. We are one of six Life360 campuses in southwest Missouri: two are in Springfield (the large city that anchors the area), and the others are in Republic, Hartville, and Fordland. Our church is in Ozark, which is about halfway between Springfield and Branson. Ozark is a town of about 20,000 people. It used to be predominantly rural, and although it has grown more suburban in recent years, it’s still a very friendly town with a down-home, farm community feel. We love everything about living in Ozark. We’ve made it our home for six years, and it was our love for this community that drew us, through God’s leading, to planting a church here. The people of Life360 Ozark worshipping together. Despite the fact that there is very nearly a church on every corner in Ozark, there are lots of people here who still need Jesus. In many ways, this Bible-belt, church-saturated, middle America is very hard soil for the gospel. People have heard it all before. They’ve seen that program, been to that event. Their hearts are hard. We are praying for a mighty move of God in our community, because we know that only the Holy Spirit is truly able to draw people’s hearts to God, and we are working to demonstrate to our city that we a community of people who truly love each other. 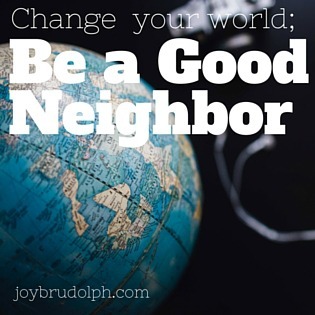 We view the other churches in our community as an asset, not as competition. It’s not an us vs. them mentality. It’s going to take every single one of our churches to reach this community for Christ in an effective way. In fact, we believe so strongly in working with other churches that we share our building with a church plant of another denomination. Our congregation meets in the morning, and theirs meets in the afternoon. We are working together as co-laborers in the harvest field where God has called us. Local to Ozark? They're ready to welcome you into their family. In church planting, finances are usually a concern and often a struggle. What does it mean for a church plant for people to come around them and support them with something as simple as an Etsy store purchase? First of all, let me say that we unequivocally trust in God to provide for us. Scripture is clear that when we are faithful to follow God in obedience, he is able and willing to meet all of our needs, and we stand on his ability to help us make ends meet whether or not everyone in our congregation is obedient to tithe off their income. That being said, your support means THE WORLD to us. That others around the country who serve Christ alongside us would believe in what we are doing enough to “put their money where their mouth is,” so to speak, strengthens our hearts as pastors and reminds us of why we are doing this in the first place. Finally, it would help us with ongoing needs that are a constant concern and matter of prayer. Right now, (and we have shared this with our congregation, so it’s not anything top-secret) we are barely making our budget, and even that we are only doing with the help of our sending church, help that will not continue indefinitely. We are constantly looking at ways to lower our expenses as a church, but we can only cut so much, and at some point, to balance the budget, we have to increase our income. Our people have generous hearts, and we give all the glory to God for the ways we have been able to give generously to missions and local charities as a church over the last 18 months, but once our budget is met, we would love to be able to give away even more of what receive as a church, and your support would enable us to do that. So that's Amy and her church. Don't you just love their hearts? If you've been moved by her story and want to support Amy's ministry all you have to do is place an order in the shop during the month of June. A portion of all sales will directly to Amy's church plant and you'll add some meaningful beauty to your life.